Hi there! Thank you to Delilah for allowing a newbie like me to make an appearance on her blog! My name is Morgan, and I’m an addict. Phew, I feel better. I admit to being addicted to music and coffee. One started at a much younger age than the other, I’ll let you guess which, but both are now so deeply ingrained that I need a fix. Often. I am one of those people who if I am not watching a movie or one of my shows, I’ve got the music going. Sometimes I’ll even toss in my ear buds and boogie along to my jams while doing the dishes. Much to my kids chagrined and my husbands delight. He thinks I’m ridiculous, but I know I’m made of awesomesauce. My debut novella and subsequent series, Moonlight Nights, was spawn by a late night fueled by Starbucks coffee and a long drive under the stars. I’m a big huge fan of windows down, radio up and singing like a rock star in my car. On this night I was listening to a new to me artist, Bruno Mars. By now most people knew him but I had just recently came across of a few of his songs. I immediately downloaded his EP that was available and was jamming out, as I always do, and this song came on and I swear my everything just stopped. “Talking to the Moon” was a song about staring at the moon every night and hoped that his former lover was too. It speaks of when the stars come up and light up his room, he just sits there talking to the moon. Right? It tugged at my heart and in an instant a story was born. If you aren’t familiar with this song, head over to my website and I’ve got it posted. I know a lot of authors are inspired by random things, which I always found fascinating. When I first started writing I was able to use prompts to help me create a story, whether it be for submission calls or fan fiction. I know, I know. I didn’t stay there for long. But now with the birth of this one. story inspired by something so random as one song, I felt that I was part of the cool kids. I’m not, but one can hope. Since then my inspiration has grown and has spun into a five book series, all surrounding one young couple and their connection to the full moon. The first book, a prequel of sorts, features the father of the young man. Sunrise is about a mature couple who meet by chance month after a steamy, anonymous weekend in Mexico. 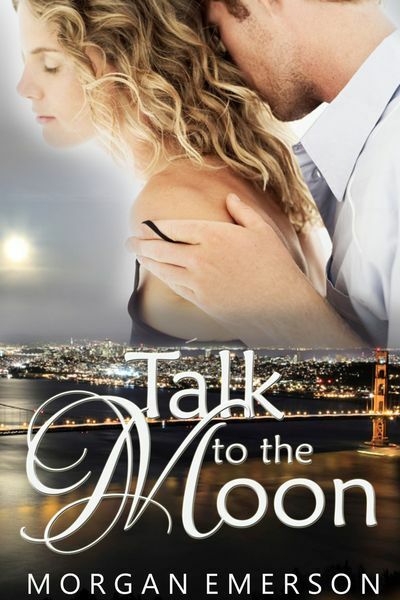 After I wrote the first book, titled Talk to the Moon, I was further inspired by music and Sunrise is heavily influenced by the sexiness of Fleetwood Mac and The Eagles. And of course, coffee. There is something incredibly enchanting about the lyrics from Fleetwood Mac but the song Tequila Sunrise was the official inspiration for Sunrise. Not so much lyrically but more so the theme of a woman who is a bit lost and just numb from life. So that’s a brief look into my crazy mind, what inspires you? Be sure to follow me on Facebook, Twitter or my blog for the upcoming New Adult release, Talk to the Moon on February 22nd! Be sure to pick up Sunrise for free in the meantime. When Kyle Chase was eighteen, he had his life all mapped out: a business degree and a long, happy life with his childhood sweetheart.Seven years later, Kyle is still haunted by the girl who declared her undying love to him before disappearing without a word as soon as he left for college. With the realization that the memories are stopping him from living his life, Kyle posts an ad in hopes of making contact with the woman who broke his heart. Sadie Long has finally found her niche in the world as an artist, years after leaving the South and her trailer-trash parents. Every month, her muse drives Sadie to create another artwork featuring a vivid full moon and the boy she left behind, and it’s driving her crazy. When she comes across an ad in Craigslist’s “Missed Connections,” she knows it’s from him, and even though she’s terrified of how he might feel about what she did when they were teenagers, she has no choice but to respond to the ad. When the truth comes out, will Kyle be able to forgive Sadie and move forward, or will they always be stuck in the past? This entry was posted on Sunday, February 9th, 2014 at 6:00 am in General. Tagged: Guest Blogger. You can feed this entry. Both comments and pings are currently closed. Thank you for the free read of Sunrise. I enjoyed reading your excerpt and blurb. I look forward to reading Talk to the Moon also.